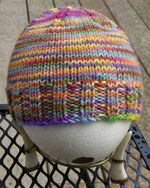 This entry was posted in Baby hats, Baby stuff, Community knitting, FO, hats, knitting, Multicolor striped topdown raglan, Partners in Health, Preemie caps, Vacation. Bookmark the permalink. 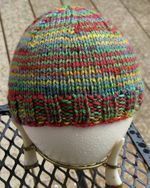 0 Responses to The vacation, part 3: the knitting. Wow, that’s a lot of hats! And they are all adorable. Hope you do post more about the k1 below bonnets. I want to know more about the construction. The striped raglan is looking great. That’s an amazing number of hats and they’re all pretty fabulous! 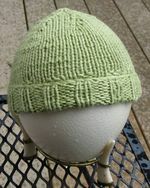 Loving the little bonnet type knit one below. Your little neighbour is a beauty, such a fun age. Love your striped raglan, great colours! Cute, cute, cute! The hats and the neighbor. 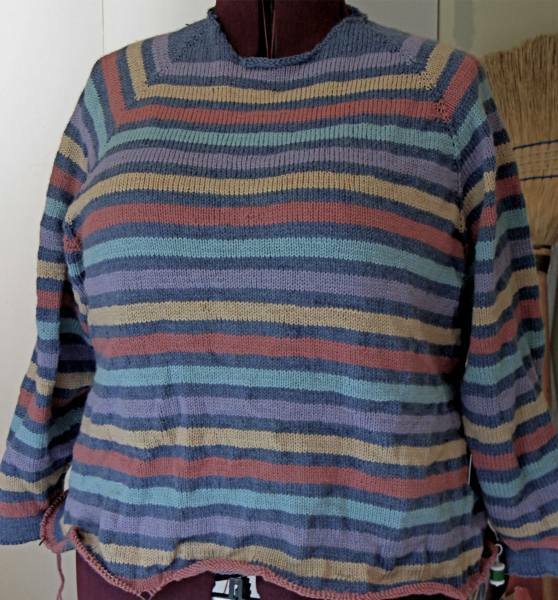 Loving the striped pullover, I’m so impressed with making stripes because I hate doing it. 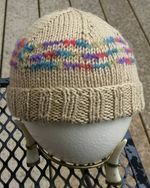 Don’t mind Fair Isle at all, but striping gets me aggravated. Go figure. Hey, you almost have a finished sweater there!!! 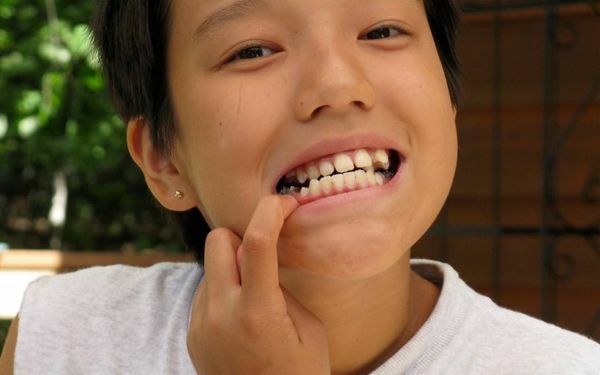 Cute kid. 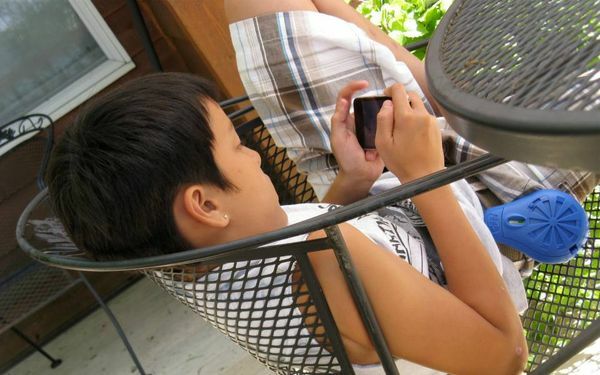 My nephew was on my itouch in the same way. Just started 5th grade, and he showed me a few tricks. I used to teach 5th grade. Wonderful age! Love the hats. They look like good “potato chip” knitting. . . one is never enough. You really are almost finished with your striped sweater! 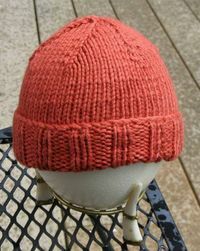 Think how wonderful it will be – finished and ready to wear – when the cool winds blow. I know you can finish that sweater … love the hats. Wowzers. That is a lot of knitting! I lurv the sweater – and I’m dying to see it turned inside out. Pretty please? Wow. 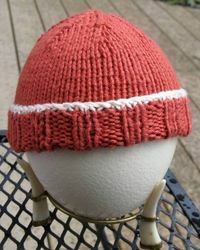 I bow to your knitting & finishing prowess. 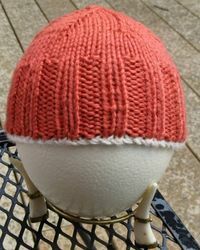 Does the red stripe at the bottom of the sweater signal the last stripe before the cuff/hem? Finish line! Love all the hats. Puts me in mind of “Stacks of Caps” – a book I read an infinite number of times to my daughters when they were small. Watch out for marauding monkeys! 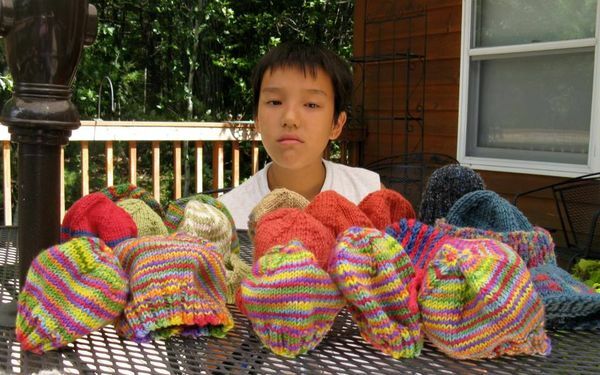 Wow, that’s a nice output of hats! 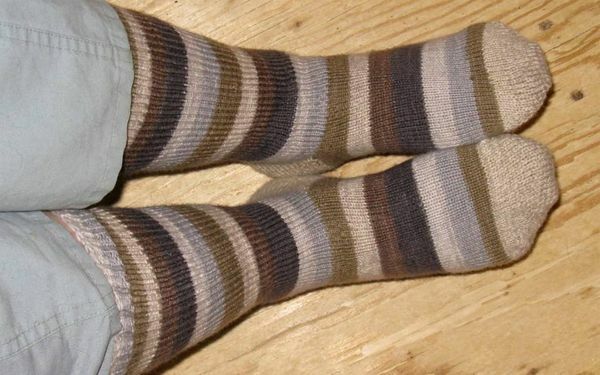 I do love those socks though.